EXCLUSIVE: A Muslim Woman Was Assaulted On Public Street. Not A Hate Crime? UPDATE: While the NYPD still has not released photos or video of the assailant, it seems it is now being investigated by the Hate Crimes Unit, though the cops won’t tell us when that switch happened. MIDWOOD – Umber Nisar usually drives everywhere. But, the weather was far too beautiful on Saturday, March 16 to resist a walk. Nisar’s mother called her in the late afternoon asking her to come by to drop off some food for a gathering. 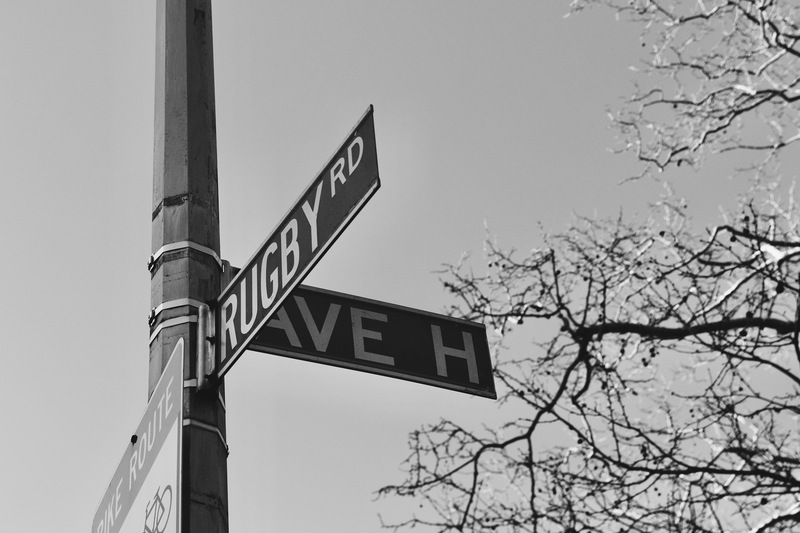 They live a few blocks apart along Avenue H between Rugby and East 21st Street. The weather was 48 degrees Fahrenheit and she thought it’d be a good walk. By the time it was 3:36 p.m., 41-year-old Nisar had delivered the food and was just a few steps away from her home. She was wearing red shalwar kameez (a South Asian garment) and had a dupatta (hijab) wrapped around her head, covering all of her hair. She saw a man cross the street from the other side and then he was in front of her. She said he put out his leg as if trying to trip her, but she did not fall. Then, he kicked her. She said he kicked her legs; her shin and calf to be exact. Nisar said she remembers another man walking by during the assault. She said she remembers making eye contact with him, pleading with her eyes for help. He walked away. And after the assaulter was done kicking, he walked away, too. Nisar stood there for a few seconds in shock and pain. When she realized she was standing in the middle of a sidewalk, she quickly walked up to her house and locked the door. Nisar went inside her house and sat down for 15 minutes. She couldn’t comprehend what happened to her. What if she had fallen, she thought. What if he repeatedly kicked her in the stomach? What if he had a knife? What if he stabbed her? She couldn’t stop thinking. This had never happened to her before. Nisar came to the U.S from Pakistan when she was 15 years old. She has been living in West Midwood for about 24 years. In all of her years of living in the neighborhood, she never had to fear for her life. On Sunday, March 17, Nisar was so afraid that she did not leave her house. Her three children were also scared. Her son kept crying and asked her why she didn’t just drive to his grandma’s house. He asked her why she didn’t just wait for him to finish the game he was playing; he could have gone himself, he told her. Shortly after the attack, she called 911. She said she went out to look for the man with the cops, but they could not find him. She said the man could be seen crossing the street from the camera outside her home, but it doesn’t expand to where she was assaulted. According to the NYPD, the suspect is a white man, about 26-years-old, 6 feet tall, and 200 pounds. He was wearing a gray jacket and blue jeans. Cops say the investigation is ongoing and it is being investigated as an assault. They have not released the video or images of the suspect. Nisar wants it investigated as a hate crime. Nisar believes the attack was motivated by religion and now she fears for her safety and for the safety of her daughter and neighbors. 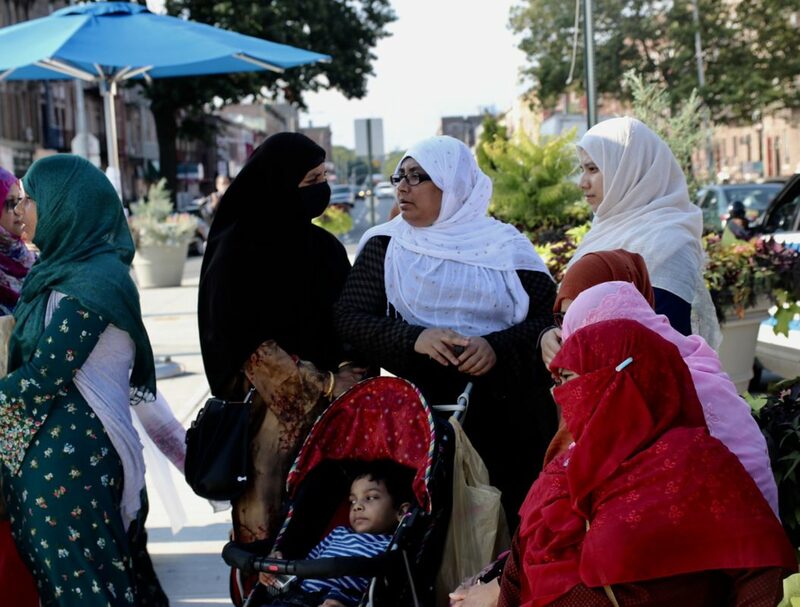 Her Midwood neighborhood is packed with Muslim woman going about their days. Women in colorful dupattas and shalwar kameez walk out in the afternoons when their kids are at school. They shop, go to the decades-old beauty parlor, and grab vegetables and spices to cook at home. It could’ve been any of them, Nisar fears. Nisar has a really big bruise on her leg. She keeps looking at it and touches it time to time, though it hurts when she does so. She said every time she sees it, it brings her back to that moment. Nisar’s assault comes a day after the devastating terrorist attack at two mosques in New Zealand that took the lives of 50 people. Like Nisar’s attacker, the perpetrator of the massacre was also a white man. She said all communities are supposed to receive equal treatment; it does not matter if the victim is Muslim, Jewish, or Christian. So why isn’t this being labeled as a hate crime, she asked. Community organizer Kashif Hussain agrees. After Hussain found out about Nisar being attacked on Saturday, he, along with several community members reached out to elected officials and law enforcement for support and solidarity. He said he was even more upset hearing about the attack, because a day before, the same community held a powerful press conference after the New Zealand massacre. Hussain says the attack is unacceptable and the community will no longer sit on the sidelines. Two days after the assault, Nisar is still on edge. She said she just wants to feel safe again in her country, in her neighborhood, in her home. Myself and others will be standing in solidarity with the Muslim Community and make sure that incidents like this don’t happen again. Could be a hate crime, but not necessarily. Certainly no proof of that offered here. I’m skeptical. There is usually more to these events then is first offered. Also there is no description of alleged assailant; is he also a Pakistani Muslim? A Muslim? I’ll wait for the investigation to complete. There is a description as provided by NYPD in the story. Hold your horses ladies. Call it as you please, but the incident just happened two days ago and you are already implicitly accusing the NY police department of bias? The NY police deals with thousands of cases every day. You want them to drop everything and and kiss your a*$ just because you are a Muslim. We are becoming a burden on the system and sooner before later it is destined to backfire. Could be a hate crime….intention on the part of the attacker needs to be proven. No one knows his motivation. Victim didn’t hear attacker attacker’s words. Maybe “just” a misogynistic attack, mental illness, drugs, alcohol, etc. Unfortunately hate crimes occur all the time, but we can’t jump to any conclusions yet. Non white failed to realize. They are just here to fill low paid jobs. I think it would be a hate crime after it followed the the New Zealand mosque massacre. Plus the attacker guy is white so don’t say hold your horses. This anti-muslim rhetoric anti- all colored people was brought on by Trump himself so under his administration the attackers are bold and brazen because they know they won’t get into alot of trouble if they do commit hate crimes or even kill people in the process.